If you need a super cheap range round, then this is a great option for you. 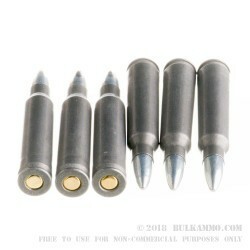 This 55 grain full metal jacket ammunition is manufactured by the Russian company, Tula. What makes this ammunition so affordable is its Berdan primed steel case. This steel casing is not reloadable, but is has proven reliability in AR platform rifles, so no need to worry about sticking cases or failures to fire. 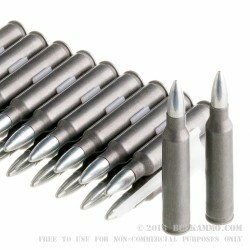 These rounds may also have a zinc plated bullet instead of a copper plated bullet. Tula started using Zinc instead of copper to save additional money, but also because zinc is a soft metal and is supposed to cause less wear on your barrel during high volume firing. 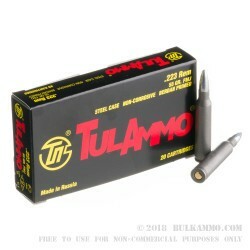 Q: Does Tula manufacture this ammunition, or is it produced by a third party? How does this ammunition compare to Wolf brand ammunition in function tests, storage, and reliability? 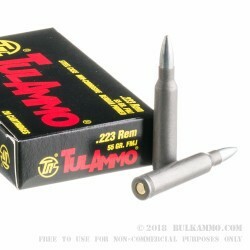 A: Tula manufactures this ammunition at the Tula factory in Russia. It is comparable to Wolf in the aspects you describe.